Norman McCaig (1929-2001) was born in Bangor, Co. Down,. N. Ireland. Norman studied at the Belfast College of Art and the Academy of Art in Paris. It was in Paris he met long-time friend Joseph Sefton, a stage and set painter who worked for Edith Piaf. They would later exhibit together. Indeed, McCaig’s first exhibition was a joint project with Sefton in Paris. 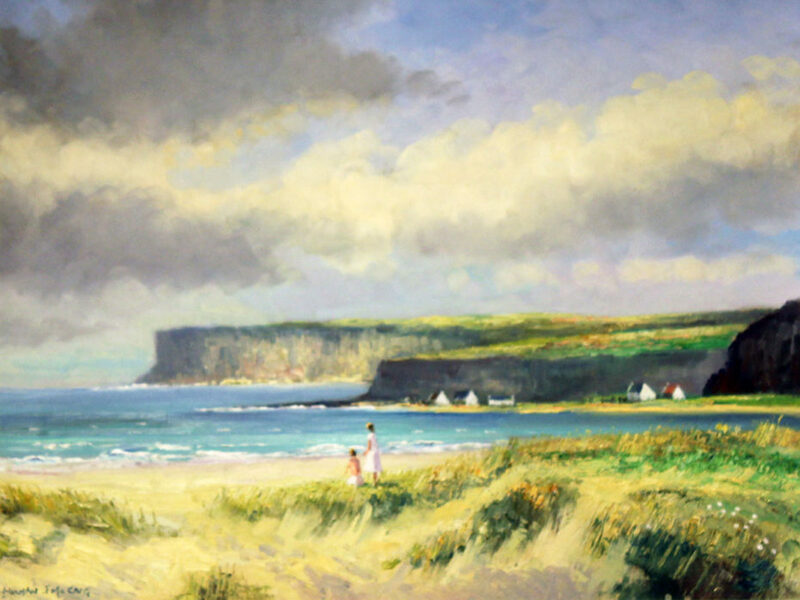 He is mostly known for his landscapes, seascapes and harbour scenes where he uses rich colours applied liberally to achieve an atmospheric and dramatic effect. Norman McCaig was also a very accomplished pianist and played in many of Belfast nightspots.